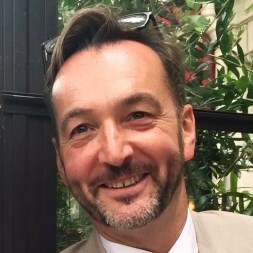 Marc Forestier started his professional life in London as a lawyer with one of the very first Anglo-French Law firms in the UK. For 12 years he advised some of the most prestigious luxury French and other international brands at a time when London was a new market for many international luxury products. IN 2000 Marc was invited by Joseph Ettedgui, the founder and Chairman of the Joseph group, to join the new senior management team following its acquisition by Baron Albert Frere and LV Capital. In 2005 after a successful disposal of the Joseph Group to a Japanese investor Marc became CEO of the Joseph Group until 2009 when he Joined the British super luxury brand “eskandar”. In 2015 after expanding eskandar’s presence worldwide with new flagship stores in the US and Italy Marc Joined forces with Sujata Keshavan and Ravi Prasad two very successful business leaders in India to launch “Varana” the first Indian Luxury brand designed for a global customer. Marc opened Varana first worldwide flagship store on Dover Street London in the spring of 2017. Later that year Marc joined the prestigious Japanese Issey Miyake Group as Directeur General Europe based in Paris with the mission to re-structure, re-energise the european teams as well as redefining strategies to strengthen existing market and plan the development of new ones. Since the beginning of 2018 Marc has moved back to London and is consulting on various projects. 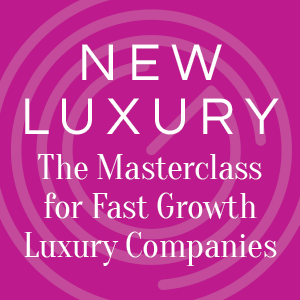 Would you like to sponsor the 2019 New Luxury Masterclass?